Goodreads Summary: Mute, heartless, and tormented by auditory hallucinations, Madeleine Lavoie never questions why her family has hidden her from the world. But the night her brother casts her out, she learns the mysterious voice she thought existed only in her mind is no delusion, and no matter how hard she tries, she can never disobey it. Now Madeleine must find her own voice in a cacophony of powerful tyrants, monsters, and gods. If she fails, she will forfeit her life and the lives of everyone who loves her. But if she succeeds, she may finally gain the ability to love someone in return. 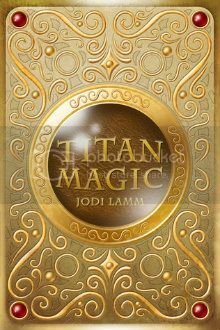 It's not very often that I read a book synopsis in which the story sounds completely different from anything I've read before, but Titan Magic did just that. This book is a fresh fantasy story with an inventive concept. 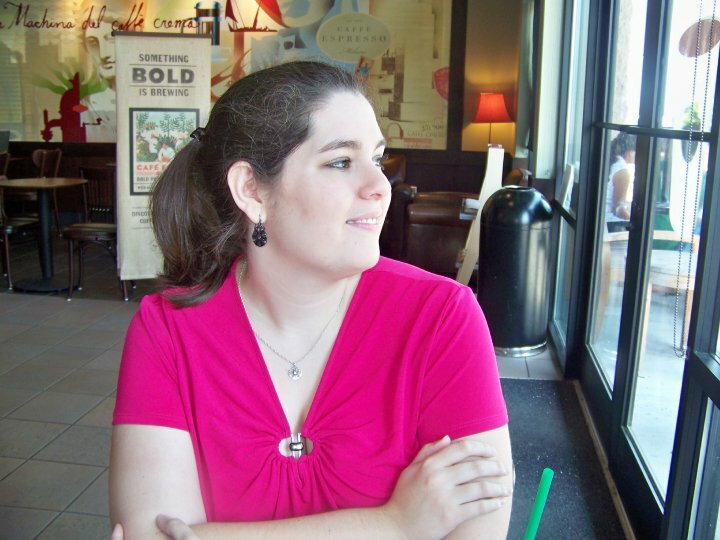 Madeleine Lavoie only has memories of the past three years and nothing before that. All she knows is that her brother must tie her up every night so that she doesn't harm herself or others. She hears a voice calling her, and although she longs to answer it, she can't. But one night, her brother casts her out, armed with only a coat, a locket, and a bag of money, and tells her to find her voice. However, that's no easy task for someone who has always been mute. Alone, Maddy wanders the land, eventually running into a stranger who decides to help her. But Maddy quickly discovers that the voice is real, and she needs to be reunited with its source. In fact, there is a lot that Maddy has never known, but she is determined to learn it now. Can she find her voice...and love...against all the odds? If you love fantasy, don't let the fact that this is a self-published book stop you from giving it a chance. The story was inventive and had a very different mythology from anything I've read before. Because of this, I was drawn into the story, longing for information and answers just as Maddy did. Although she was mute, her thoughts were very well conveyed, and I couldn't help but feel for her. It seemed nearly impossible for her to get what she wanted at times, and it was also hard for her to know who she could truly trust. Maddy was a character that I wanted to see succeed. Moreover, there was no unimportant character in the story. Everyone had a role to play - some much more surprising than others - and there were certainly surprising twists along the way as all of the information was revealed. As inventive as the story was, I did have a few issues with the mythology. At times it seemed shaky. For instance, the Titans didn't seem to be Titans as one would generally picture. In some ways there was almost too much going on in the world, which left me confused and longing for a bit of definitive information. Aside from these things, however, Titan Magic didn't have the issues that some self-published books have and was instead one of the books that proves that good stories can be found from a variety of sources. There are more things I could say about Titan Magic, but I would hate to give anything away. To know the truth of who Maddy is, you will have to read for yourself. And I will be interested to see what Jodi Lamm writes next! This sounds interesting. I've been reading more fantasy, lately, so I'll have to check it out!